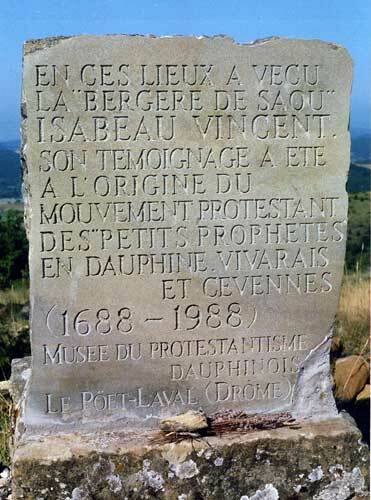 Isabeau Vincent, was a young shepherdess living near Crest, who started the protestant movement called the « minor prophets » in the Dauphiné, the Vivarais and the Cévennes. When Isabeau Vincent started to work as a shepherdess for her uncle in Saou, between Bourdeaux and Crest (Drôme), her mother was no longer alive and her father had abjured his faith, (this was before the Revocation of the edict of Nantes). 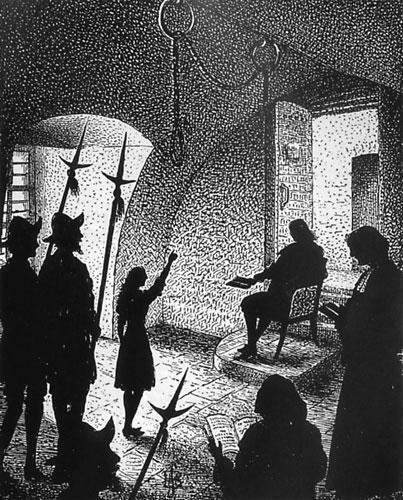 She was about fifteen and a half when she first started to speak in her sleep, in February 1688, and to prophesy during the night – first in the local dialect and later in French. Her “exhortations” had a dramatic effect on those who rushed to hear what she had to say. She called them to repent, to reject the Roman Catholic mass, to seek the word of God and to persevere, despite the persecution inflicted on them : “Repent… Stand firm and may your faith always be founded on Jesus Christ (….). Because he who perseveres to the end will receive eternal life, you must suffer to defend God’s word (….). Seek his word and you will find it through repentance, obey God’s commands and not those of men (…). The wicked will perish with their wickedness and will be reaped like the grass in the fields which is laid out to dry…”. On hearing this, many people thought she was referring to those who persecuted and tortured them. Indeed, one witness wrote, It must be God’s spirit speaking through her. The collection of her exhortations. Among those who came to listen to her, one man wrote down all her exhortations and sent them to Amsterdam where they were printed and circulated ; they constituted the first part of the document entitled A shortened version of the story of the shepherdess in Saou near Crest in the Dauphiné, printed in Amsterdam in 1688. You had asked me to give you news of the girl we told you about (…). The second part of the manuscript consisted of a sworn statement by the lawyer Gerlan who had observed her on the night of the 20th of May and who had transcribed her prophesies. In memory of Isabeau Vincent. 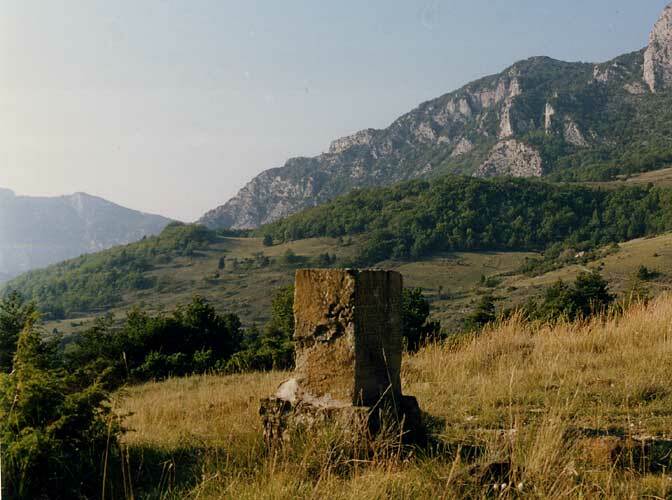 About thirty years ago, in a farm in Pervenche, Ardèche, a large number of private documents, Gerlan’s sworn statement and the letter of the 14th of June were discovered quite by chance.